"Friendliest office staff I’ve ever seen! Absolutely great staff and great doctor. I had no pain at all so I couldn’t even complain one bit. But I was asked a lot if I was ok or if I had any pain. Overall my visit and procedure on a scale of 1-10 I give it a 100! Thank you all so much!" - Veronica O. "I had my 1st colonoscopy with Dr. Sunbulli, I was 12 years overdue. My hesitancy was due to “horror” stories from family and friends. This was by far the easiest, pain-free medical procedure I have ever, ever had, and I’ve had a few. The staff was reassuring, kind and attentive. All questions were answered for me. I will recommend this group to everyone. Thanks again to all the staff and Dr. Sunbulli." - A very grateful patient, Kathy M.
"I was originally concerned, and all of my questions were answered. Very professional staff and caring, Dr. Sunbulli was excellent." "Everyone was so nice. I am so thankful for now being able to come to Dr. D’Astice’s office for my test. Soo nice- and the new solution makes the prep for the test “so much easier”!" Shawn P.
"I was seen earlier than my scheduled appointment time, and the clinical staff was better than ever. Great and impeccable facilities, and Dr. Silva is amazing! Renatta, Eileen, Rick, Tammy an especially Dr. Silva- your team is awesome! Thank you!" "Dr. Silva and staff are very good at what they do. Excellent sterile environment!" "The office staff was pleasant and helpful when I arrived at the facility-above & beyond expectations! I’d definitely recommend your services- courteous, caring, personable, speedy and professional." "I was apprehensive at first to have the colonoscopy in the doctor’s office. When I arrived, I was pleasantly surprised at the professionalism of the staff and the care I received." "The staff was wonderful, and I was seen earlier than my appointment time- even better! Great staff- great experience! See you in 5 years." 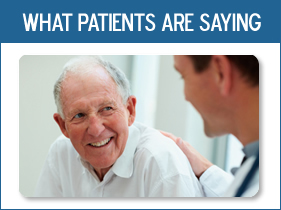 "This was the most pleasant experience for having a colonoscopy! The staff was very pleasant and helpful." "The office staff was very knowledgeable and experienced. I was actually seen a bit before my scheduled appointment. The clinical staff was very helpful. Both Eileen and the anesthesiologist were very careful to inquire about any specific conditions prior to the procedure. I was very pleased with and comfortable with the staff. It made the experience with the procedure so much easier to handle." "The clinical staff were very understanding, patient and caring. Especially Eileen- very caring. Loved Dr. Sunbulli & compassionate and professional staff." "The staff was very caring, especially Eileen & Tammy. I did not experience any pain, thank you." "The person who answered the phone was very friendly. Everyone was cheerful and pleasant to deal with. I can’t say enough about your staff! The procedure was painless, I’d definitely recommend your services without hesitation. Eileen was awesome- a very energetic person (nurse) on your staff. She made the whole visit go quite well!! Thanks" Eileen! "The person who answered the phone answered all of my questions promptly, and the staff was beyond my expectations, very, very kind and caring. I’d absolutely recommend your services. Pain-free, the staff checked several times to make sure I was comfortable." "Everyone was wonderful, I was seen right on schedule, and everyone was exceptionally understanding, patient and caring!! I’d recommend your services without hesitation to anyone!" "Extremely satisfied- thank you for the great service/care!" "Everyone was professional and empathetic. I was seen at my scheduled appointment time, I appreciated the timely procedure since I was apprehensive." 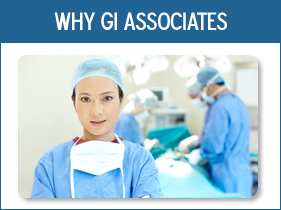 "All the clinical staff was excellent. I will recommend you to any family/friends needing the procedure. I had no pain from the procedure at all."